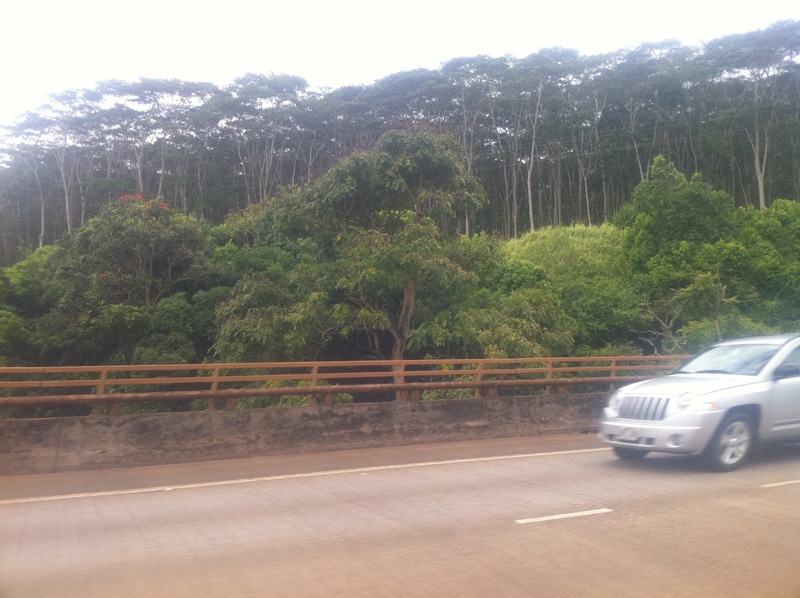 While on an island a month ago, I saw three new things. Because they were new to me, I assumed that they were native to the island, but I later learned that only one of them is. Thing 1: I purchased this beautiful heavy fruit from a roadside stand. 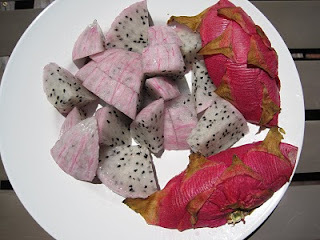 "Dragonfruit" came with no operating instructions so I cut it open and was amazed when I saw the beautiful seed speckles scattered in the cool white flesh. I peeled off the skin which separated easily from the fruit, then ate some, then ate it all - no one else would touch it. It's slightly sweet and tastes a little like kiwi. Later I learned that this is pitaya, the fruit of a cactus (just as prickly pear is also a cactus fruit) and originated in asia. Thing 2: While traveling along on the east side of the island, I saw stands of tall trees with elegant top canopies. The trunks splayed from the center and were fairly straight, and looked like they would be useful as poles. 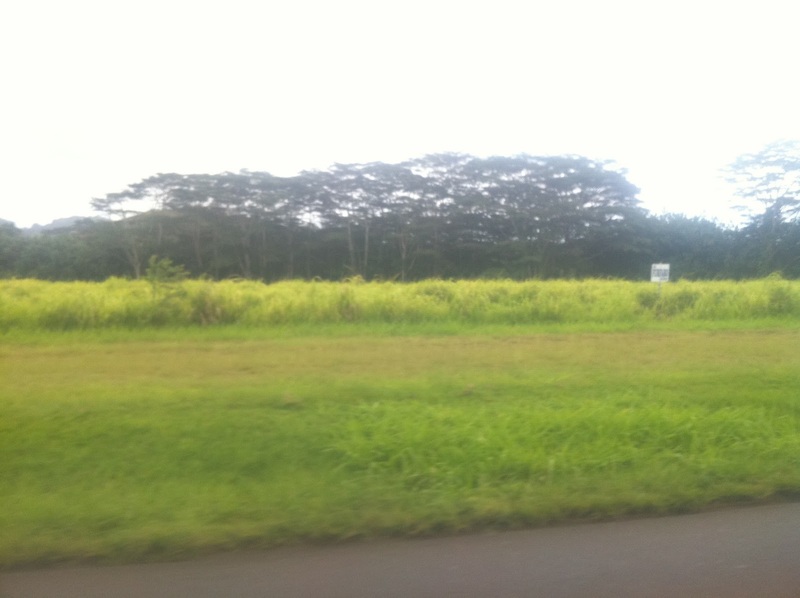 Later I learned that these are albizia trees, which thrive in sub-tropical climates and can grow 15 feet in one year! 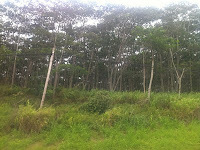 They are not native to this island - indeed they could be invasive - we'd better find a use for them! 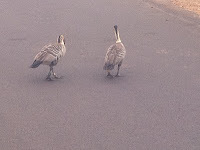 Thing 3: "What are Canadian geese doing on this island, thousands of miles away from Canada?" 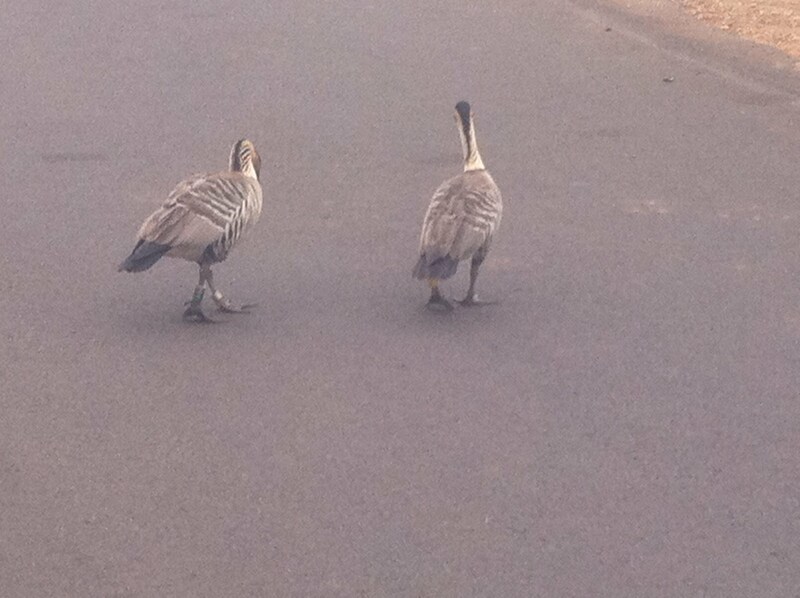 was the first comment we uttered when we saw these birds strolling. 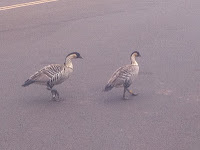 We soon learned that these are nene, Hawaii's endemic geese listed on the endangered species list. I am very fortunate to have seen these. Cool. 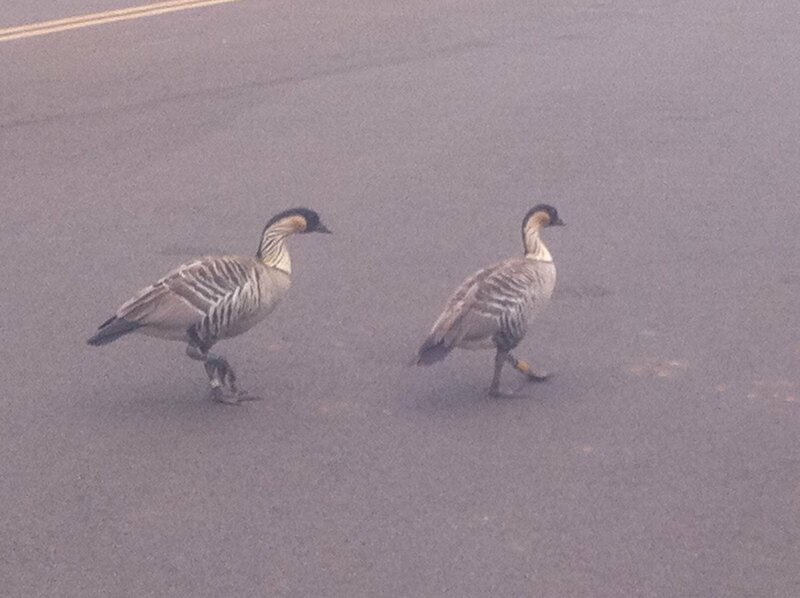 We saw nene when we went up Haleakala.